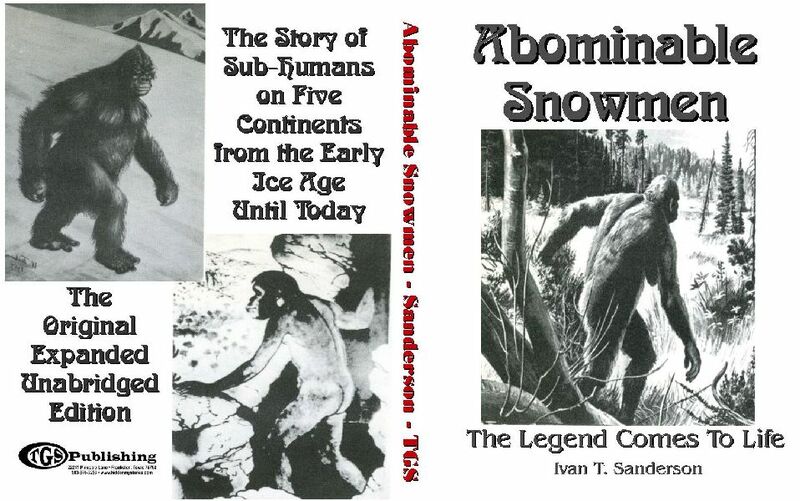 In this book, Ivan T. Sanderson summarizes current world evidence regarding ABSMs (abominable snowmen), drawing from records and reports that are world-wide in scope and cover a broad period of time. For completeness he discusses all prevailing views, both pro and con, ranging from highly plausible accounts to reports that border on the absurd. The result is as thorough an evaluation of all known ABSM sightings as could possibly be compiled at this time. My own approach to the ABSM problem was one of extreme skepticism. Three years ago I dismissed all such evidence as either hoax or legend, and in hopes of a confirmation of this viewpoint served as coordinator of laboratory research for several "abominable snowman" expeditions into the Himalayas. Today my skepticism is somewhat shaken, and I accept as plausible, perhaps even probable, the existence of the Yeti in the Tibetan plateau and view with growing interest the "global" sightings of similar creatures. 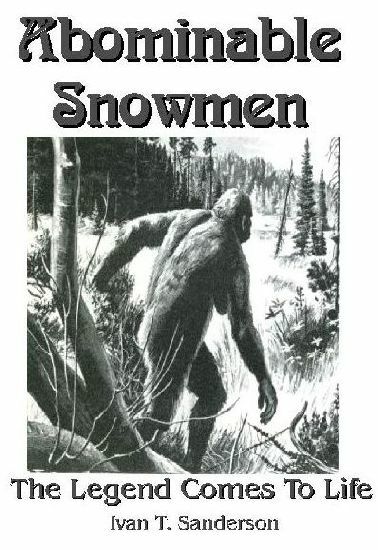 Since my own research has been in connection with the Himalayan Yeti, I will restrict my comments to this area alone. If I accept the results of serological tests, analysis of faeces for content and parasites, examination of hair, hide, and tracks and evaluation of mummified Yeti shrine items, then I must support the existence of a large unknown animal, the Yeti, in the Himalayas. However, the following question once disturbed my acceptance of this conclusion. Is it possible for any large animal to be sought systematically for over a decade without a single specimen being captured or killed? For an example bearing on this question, I return to the Tibetan plateau. Here in Western Szechwan, China, on the very edge of the Tibetan border, a large animal, the Giant Panda, was once hunted unsuccessfully for over seventy years before one was captured alive. This search proves that a large animal can exist yet elude the best efforts of professional collectors to secure one. The story behind this hunt is fascinating. In 1869, Abbè Armand David, a noted French missionary, observed a strange bear-like skin in Szechwan province located on the edge of the Tibetan plateau. This skin, much like that of a modest-size black and white bear, was the first tangible proof that the Bei-Shung (white bear) of Szechwan did actually exist. Excitedly, Father David, a long-time naturalist and conservationist, traveled to this animal's reported habitat, a high mountain bamboo forest, and engaged local hunters to secure a living specimen. In twelve days they returned. The hunters had captured a living Giant Panda, but since the animal proved troublesome in traveling, it was dispatched to make transportation more convenient. Although Father David was disappointed that he had failed to secure a living animal, he shipped the remains to the Paris Museum, providing the first tangible evidence that the "legendary" Bei-Shung actually existed and could be caught in the Szechwan bamboo forests. Captivated by such evidence, several scientific institutions supported field teams staffed by professional collectors. The world waited to see which of several well-equipped expeditions to Szechwan would capture the first living specimen. This was in 1869. By 1900 the world was still waiting. Scientific interest was great, for the once mythical Bei-Shung had been given the scientific name, Ailuropoda melanoleucus, and a separate family of its own. In spite of professional excitement, no new Giant Pandas were even seen until 1915, and no new remains were obtained until 1929 when two sons of President Roosevelt, Theodore, Jr., and Kermit, shot one out of a hollow pine tree. By this time most zoologists had decided that the Panda was extinct, so that the Roosevelt shot, while killing a Giant Panda, at the same time punctured several scientific egos. Assured that the Giant Panda was not extinct, several new expeditions were outfitted. Each contributed to the threat of extinction by shooting Giant Pandas, but living animals still defied capture. In 1931 a specimen was shot for the Philadelphia Academy of Natural Sciences, and in 1934 another was killed for the American Museum of Natural History. Two other specimens were killed, one by Captain Brocklehurst in 1935 and the second by Quentin Young in 1936. In 1936 Floyd T. Smith managed to get a Giant Panda as far as Singapore before it died of natural causes. Finally, an inexperienced woman collector, Ruth Harkness, succeeded where the others had failed by capturing two live specimens, the first in 1937 and the second in 1938. Both animals survived the trans-Pacific trip and were sent to the Brookfield Zoo in Chicago. Within months the animals had captured the imagination of American youngsters, and stuffed Panda Bears are still considered a necessary part of college dormitory life. In retrospect, the hunt for the Giant Panda serves as an important lesson in regard to animal collecting. From 1869 until 1929, a period of sixty years, a dozen well-staffed and well-equipped professional zoological collecting teams unsuccessfully sought an animal the size of a small bear in a restricted area. During this time not a single specimen living or dead was obtained. The lesson is clear. The Giant Panda lives in the same general area and at the same general elevation (6,000-12,000 feet) as the Yeti, yet this animal remained hidden for over sixty years. The Yeti can well be a similar case. At any rate, one can no longer dismiss the Yeti just because it has eluded moderate search for a single decade. While admittedly no living Giant Panda was captured during an intensive seventy-year search, several animals were killed by gunfire during the last few years (1929-1936) of that period. Why don't we have similar reports of Yeti killings? The truth is we do, but for the most part these reports come from behind the Communist curtain and cannot be substantiated. Nepal is the only country in the Free World with the Yeti ABSM form, and here killing a Yeti is a criminal offense with severe penalties. As a result, violators remain secret and reports are all but impossible to trace. I have been asked if it is possible for modern science, fortified by great improvements in world transportation and communication, to miss completely authentic reports on the Yeti, if indeed such reports exist. It can be understood how the Bei-Shung could be mentioned in a seventh-century A.D. Chinese manuscript yet not be seen by any outsider until some 1200 years later. This was a period of an isolated and mysterious Far East-the land of the dragon, Shangri-La, the Great Wall, and the unknown oriental mind. The period from 1869 to 1929 was only relatively more progressive. Look how transportation has reduced our world since the time of the Model A Ford and the Spirit of Saint Louis. Look how communication has improved since the megaphone of Rudy Vallee and the early "talking pictures." Today our world is much smaller and nothing seems isolated any more. Could we find a case similar to the search for the Giant Panda which has occurred in more recent times?